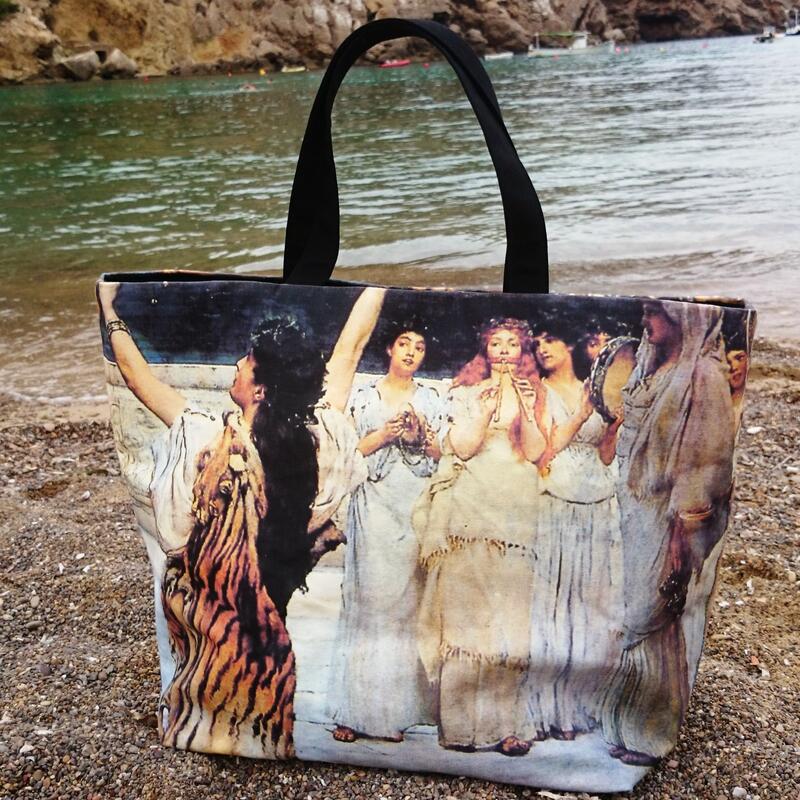 Large tote bag , "a dedication to bacchus", pictured, painting canvas bag, awesome beach bag. Package shipping 48h. 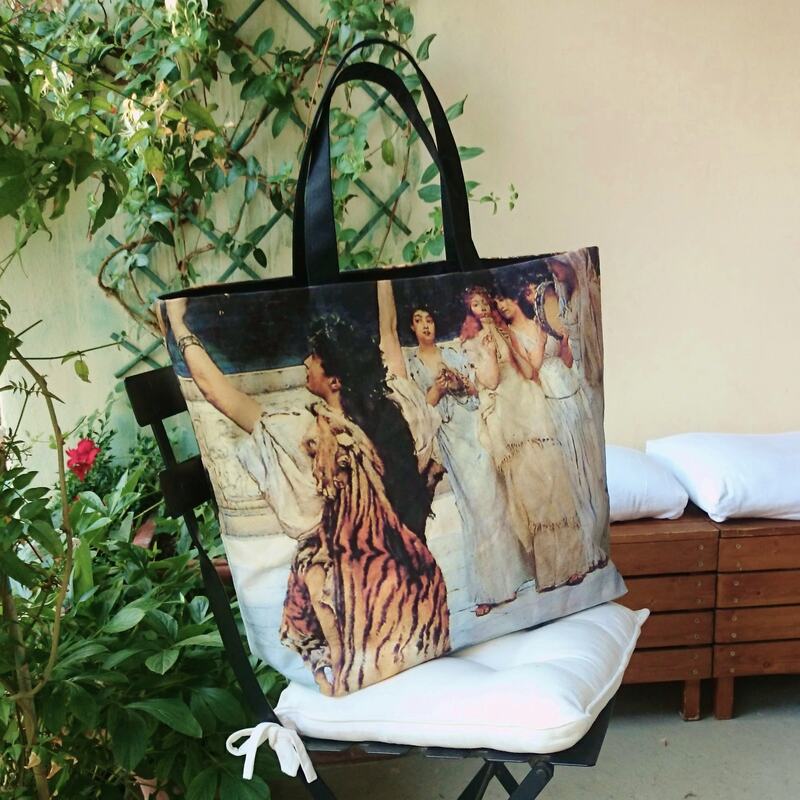 By the beauty of the painting printed on, this large tote bag is a stunning fashion accessory. 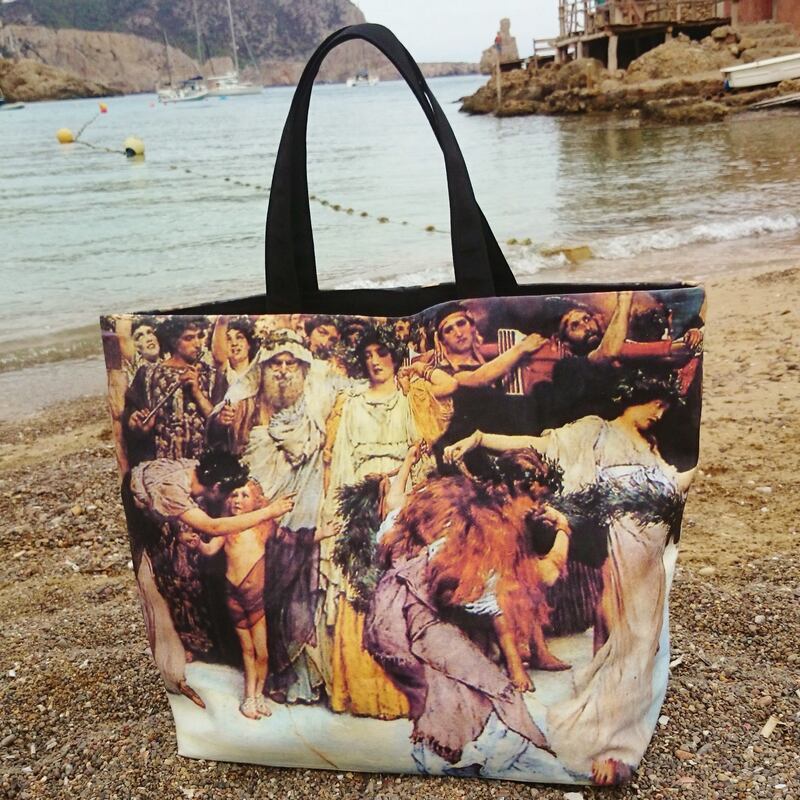 You can use it as a beach bag, as a sport bag or to go shopping... and so make alive a work of art. You can use it as a week-end bag too. 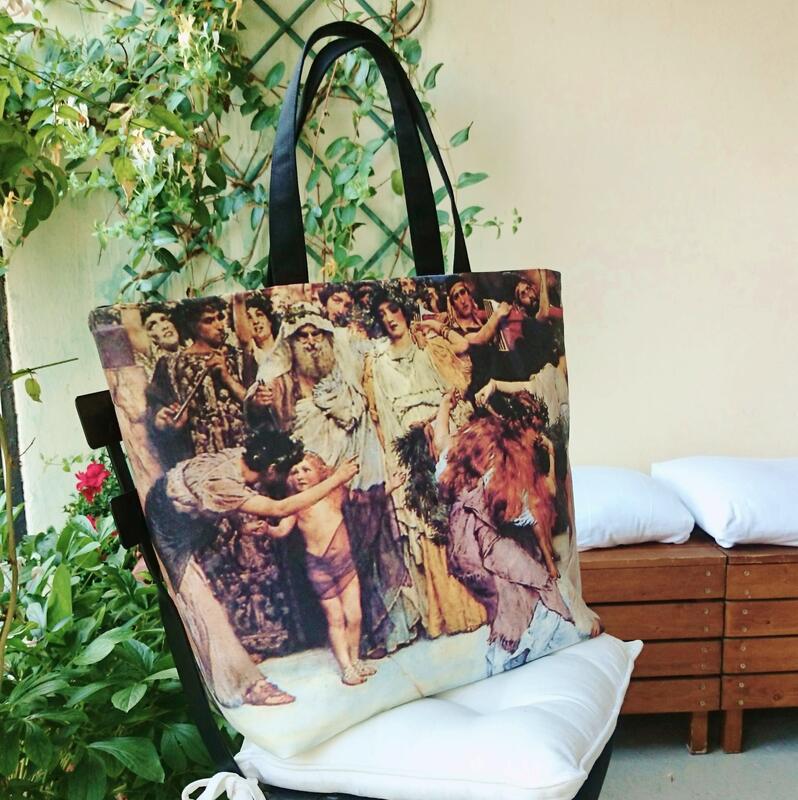 It is a very large tote bag, its size: 16 x (24-16) x 8 inches about. It is roomy, to be convenient, you find inside one pocket on each side, one whith a zip. 2 ties help closing. The outside fabric is cotton canvas and the lining cotton gabardine. Cleaning advice: It is perfectly washable, the picture does not fade away. Gentle washing machine program with low spin in cold water. No dryer!